All right. everyone take a deep breath. Now exhale. The rush of Obama "scandals" in recent weeks has been, well, breathtaking, and so has the rush to extrapolate, to discern a larger pattern of failure and incompetence in the Obama Administration--indeed, to make a cosmic argument about the inability of government to "organize a two-car funeral," as Bill Clinton used to say. I have a certain amount of sympathy for that last extrapolation. We may have reached a point where the federal government is so sclerotic and archaic that it needs a total overhaul. But putting Benghazi, the IRS's Tea Party targeting and the Justice Department's leak-hunting seizure of Associated Press phone records in the same basket is like comparing a mirage to a dishwasher to a diamond. There is no common thread. Benghazi is a scam, not a scandal. It began as a political ploy during the 2012 presidential campaign. Republicans tried to pin a cover-up on the President. He'd been saying that al-Qaeda had been largely dismantled on his watch; the attack on the Benghazi consulate and CIA station by a local wannabe militia proved al-Qaeda was still a threat--and the Administration wanted to hide that fact. Except it didn't, really. 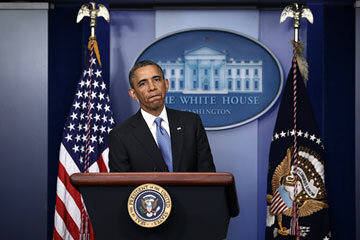 The President called the Benghazi tragedy an "act of terror" the day after it happened. Al-Qaeda involvement was acknowledged three days after U.N. Ambassador Susan Rice read her famous, cautious, massaged talking points on the Sunday interview shows. As the President said, "Who executes some sort of cover-up ... for three days?" The scuffle between the CIA and State over the talking points was unseemly, but bureaucratic knife fights are as old as the Republic. The hyperbolic Republican assessments of the situation--comparing it to Watergate, calling for impeachment--just seem loony. The Justice Department's secret seizure of AP phone records is more a policy dispute than a scandal. The AP was given a great story by someone in the government: The CIA had foiled another undie bomber about to blow up a plane. But that story, one surmises, put one or more covert operatives at risk of exposure. That is a very serious crime, and the Justice Department got a secret subpoena to seize the phone records of the AP journalists reporting the story. The tension between freedom and security has been debated vigorously since Sept. 11, 2001. My prejudice--and the prejudice of the Republican Party--has been toward security. The First Amendment isn't absolute; the government has a top-tier responsibility to protect Americans from terrorist attacks. The Justice Department's leak hunting may have been excessive, or not. We just don't know yet. But it's likely that nothing illegal happened here. Justice was working within the parameters of the law. That's not a scandal. It's a dispute over a gray line.